If the media members who participated in the Showtime Media Prediction Poll have called it correctly, Timothy “Desert Storm” Bradley will successfully defend his WBO 140-pound title against former unified lightweight champ Nate “The Galaxxy Warrior” Campbell. Bradley (24-0, 11 KOs) of North Palm Springs, CA will take on Campbell (33-5-1, 25 KOs), of Jacksonville, FL in a “homecoming” fight this Saturday, Aug. 1, live on Showtime Championship Boxing at 9 p.m. ET/PT from The Show at Agua Caliente Casino in Rancho Mirage, CA just minutes from where the champ grew up. The matchup is a tough one to call. Campbell, who is fighting for the first time at 140 pounds, is the more experienced fighter having more knockouts than Bradley has victories but Bradley is the younger, perhaps quicker fighter who has the benefit of competing in his backyard. 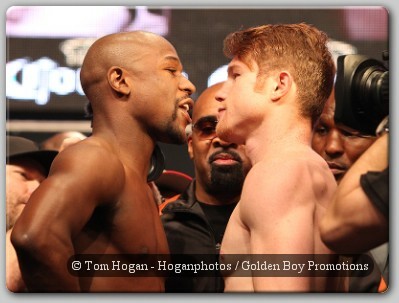 One thing is for certain: Saturday’s main event on Showtime is going to be one heck of a fight. Bradley, who voluntarily relinquished the WBC 140-pound belt to face Campbell, was the popular winner in the poll garnering 22 of the 28 predictions. Most predicted a decision victory for Bradley in his desert homecoming, while only a few reasoned the fight would end inside the 12 championship rounds. In the first half of a world championship doubleheader, undefeated, No. 2-rated Devon Alexander “The Great’’ (18-0, 11 KOs), of St. Louis, will face No. 3 Junior Witter (37-2-2, 22 KOs), of England , for the WBC strap that Bradley voluntarily relinquished. Bradley originally won the WBC belt by defeating Witter on May 10, 2008 on Showtime. Carlos Arias, OC Register (Bradley) – “I'm taking Bradley by decision. Campbell is a crafty veteran with loads of experience, but Bradley has proven he is the real deal with victories over Junior Witter and Kendall Holt. Bradley is too young, too fast and too strong for Campbell ." 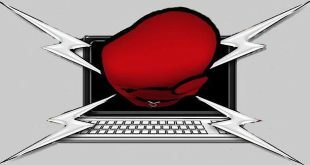 Michael Rosenthal, RingTV.com (Bradley) – “I think this is Timothy Bradley's time. He's been able to beat fighters like Junior Witter and Kendall Holt because he's a complete boxer with the toughness of a champion. I have a lot of respect for Campbell, who I believe will be stronger at 140 than he was while struggling to make 135. Paul Upham, SecondsOut.com (Bradley) – “Another great fight on Showtime. Bradley's impressive work-rate will test 37-year-old Campbell at a new weight class. Campbell 's combination punching will keep him in a close fight, but Bradley's youth and hometown crowd will push him to a points win. Bradley W.12"
Butch Gottlieb, Boxing In Las Vegas – (Bradley) - Campbell has fought the better opposition by far in his nine plus year career and is a very cagey veteran. He has proven that he can also box and not just rely on power as he has only one stoppage in almost four years. Bradley, on the other hand is a pure boxer and, if he does not get caught up in the moment, he has an excellent chance to enjoy home cooking and come away with the victory. Patrick Mullin, 411mania.com (Bradley) – “Nate Campbell was always a physically strong lightweight who was at his best when he imposed his will on his opponent and dictated the pace. That's a good thing for him because that's exactly what he has to do in order to beat the slick Timothy Bradley. However, Campbell has shown vulnerabilities to smart ring generals like Joel Casamayor and Isaac Hiatswayo. Bradley is in that class and probably outboxes Nate to win a clear decision. Ed Ludwig, BraggingRightsCorner.com (Bradley) – This has been one fight I have been counting down the days for. Defending champion Timothy Bradley vs. Nate Campbell might be a contrast in styles, but it should make for a great fight. The road warrior Bradley defending his WBO title at home for the first time will give him more incentive to want to put on a performance of a lifetime but also more added pressure fighting in front of family and friends. Dennis Bernstein, Pound4Pound.com (Bradley) – “The hometown titleholder is younger, bigger, quicker and better. Bradley proved he could go the distance with an experienced champion in Kendall Holt this past April and Campbell will prove to be an easier task with the challenger coming up to light welterweight for the first time. Campbell 's inactivity (only 1 fight in 16 months) is compounded by the fact that he's giving up 12 years in age to an opponent who is gaining valuable experience and confidence with every fight. While the young champion is unlikely to stop the savvy veteran, his initial defense of the WBO 140 pound title should be a clear cut victory. Bradley by unanimous decision. Joseph Bourelly, XLFights.com (Bradley) – “As much as I love Nate Campbell, he is simply up against the much younger, faster and harder hitting man. Although Campbell will have some opportunities to work on the inside and do some damage, he will have to eat up some shots to even get in position to let his hands go. Benny Henderson Jr., Convicted Artist Magazine (Bradley) – “I know this phrase is overused, but I honestly feel this fight has the potential to be “fight of the year” candidate. You have the crafty, fast-fisted Timothy Bradley, who has never tasted defeat, taking on the more experienced, heavy-handed Nate Campbell, who doesn’t mind waging war.